Once again, we have been awarded the prestigious title of being one of Singapore’s Top Italian Restaurants, for the 3rd year running! 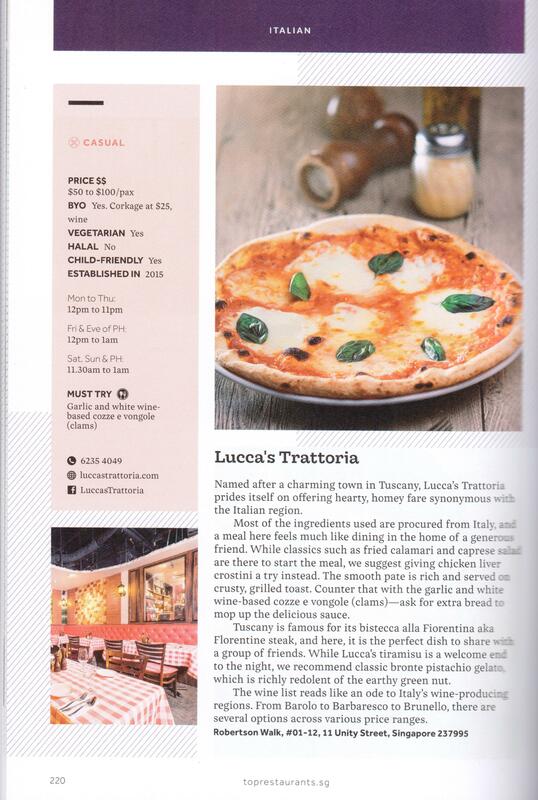 Read the review from Wine & Dine, which is one of the most credible guides on Singapore’s dining scene. The review was done incognito by a tasting panel made up of prominent F&B experts, food writers, industry insiders and respected gourmands. Previous PostAward-winning Valentine’s Day Dinner – 13 & 14 Feb 2018Next PostAuthentic Christmas set meals just for you!